BURN PERMITS ARE BASED ON THE DESIRED BURN LOCATION. If you live in Ashland City you are required to retain a burn permit year round. Burn permits are available from the Ashland City Fire Department at Station 1 7 days a week during normal hours. Get in touch with Station 1 if you have any questions about your burn location. Remember you are only allowed to burn natural vegetation within the Ashland City limits. Burning household trash is not permissible! 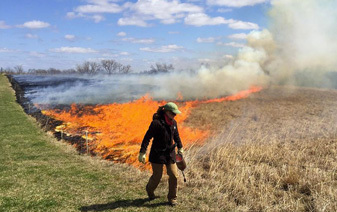 Burning permits focus attention on the safe use of fire. 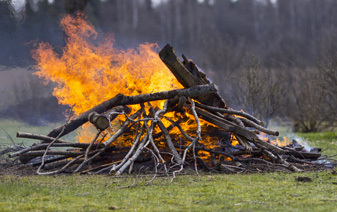 From October 15 through May 15, anyone starting an open-air fire within 500 feet of a forest, grassland, or woodland must by law secure a burning permit from the Tennessee’s Division of Forestry. Permits are not required for burning in containers such as a metal barrel with a ½” mesh screen cover. 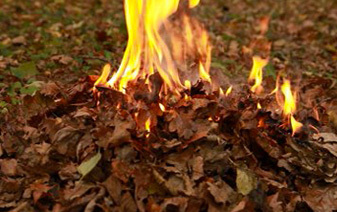 This option is only available for burning of individual leaf or brush piles approximately 8 feet by 8 feet or smaller in size. Burning permits may be obtained online 7 days a week beginning at 8:00am CST. Visit BurnSafeTN.org for more details and to apply for permits. Only natural vegetation fires and no burning of household trash or debris allowed. For burning vegetation within the county, apply here at BurnSafeTN.org.